There is absolutely nothing better or more refreshing than jumping in the pool on a hot day and cooling off. The only problem is, sometimes it can be a bit of a shock when you get your utility bills later on. Do not let those bills stop you from enjoying your pool, though. Here are some ways you can still have a great time in your pool while being more energy efficient. Your pump can use up a lot of energy, so try to run it when it is cheaper. Many places have hydro charges based on time of use. Usually the nighttime is when it is more affordable. Use your pump during the night to save some money. Having a pool is not as simple as digging a hole and filling it with water. It must be maintained properly with chemicals and cleaning equipment. Many pool supply stores will offer bulk deals at certain times of the year, and you should take advantage when you can. Chemicals do not go bad so there is no risk of them going to waste sitting in your pool shed. Water escapes a pool in many ways. It can get evaporated, leaked, splashed, and backwashed all the time. You cannot do much about evaporation, but you can reduce splashing. Try some creative pool activities that do not involve too much action. You can host a backyard movie and have your guests relax on your pool inflatables, for instance. Put up a projection screen and play a film that takes place out at sea or by the beach. Another fun activity is to set up a treasure hunt under the water. You can buy little toys and gadgets that the kids will love swimming down to collect. Whoever collects the most can win a prize, or keep what they found. There is no reason for you to spend a mint on utility bills just because you love to cool down in your pool. Try out these creative ideas to keep some money in your pocket and enjoy your pool without worrying about what might come in the mail the next month. 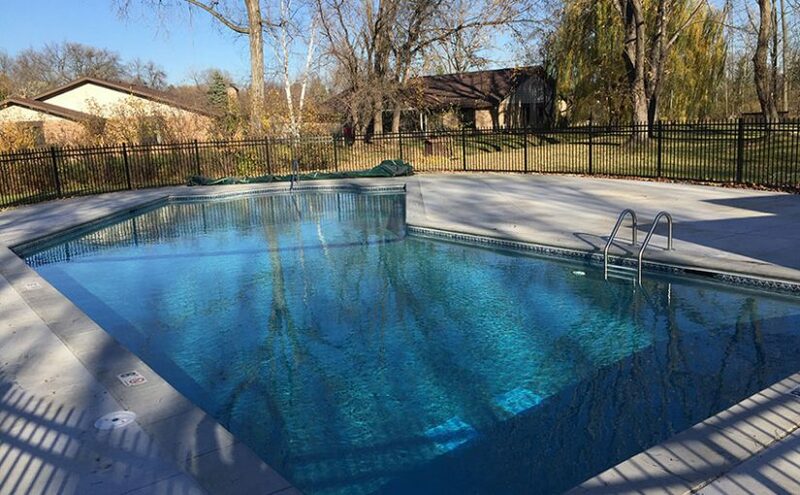 If you are a Twin Cities resident in need of pool repair services, do not hesitate to contact Sundays Off Pools online or by calling 763-546-1651.